OH NO! 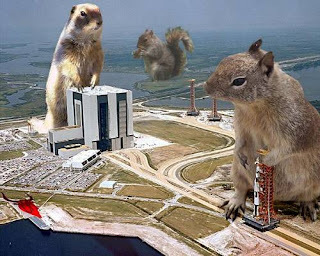 ATTACK OF THE GIANT SQUIRRELS! LOL. I can't wait 'till the Empress's Tomb! Agh! I'm going to atack you with sharp acorns! Squirrel spys, interesting! Where do you find these things Kirsten? I have informants in the squirrel community. sweet little beaties aren't they?